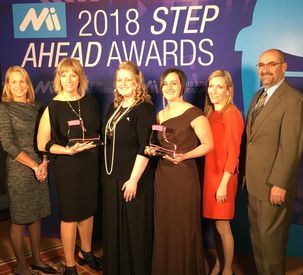 DULUTH, Ga. – AGCO Corporation (NYSE: AGCO), a worldwide manufacturer and distributor of agriculture equipment and solutions, announces that three AGCO employees received 2018 STEP (Science, Technology, Engineering, and Production) Ahead Awards from Women In Manufacturing, a division of the Manufacturing Institute. 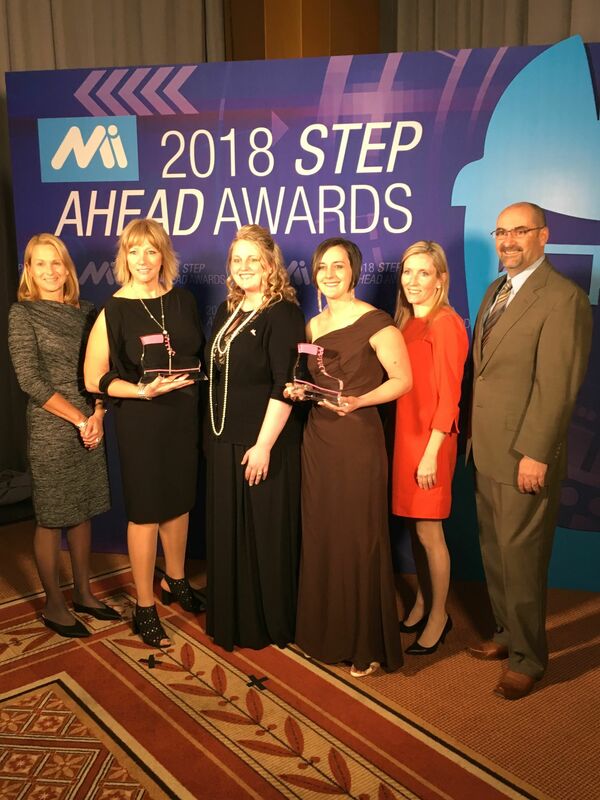 Laurie Cantu and Heather Erickson were each presented the 2018 Women in Manufacturing STEP Ahead Award. 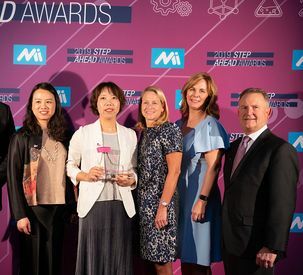 Rachel Hawn was presented the 2018 STEP Ahead Emerging Leaders Award. 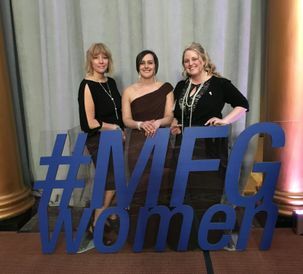 This national honor identifies the best of the best women in the manufacturing industry, and further encourages women to mentor and support the next generation of female talent to pursue manufacturing careers. “One efficient team is needed to make a quality machine.” Laurie Cantu, manager, parts logistics, operations, Batavia, Illinois. As Manager of Parts, Logistics, Operations, Cantu is a leader in driving annual cost improvements for AGCO. This year, she has led her to team to deliver more than $1 million in cost saving projects and counting. In revamping AGCO’s delivery network for Western Canada, the company’s parts delivery time to dealers in the region were cut in half, resulting in more than $350,000 in annual savings over the previous delivery network. Cantu is devoted to the community on both a personal level and as a representative of AGCO. 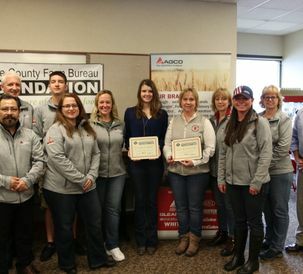 She is actively involved in AGCO’s Global Women’s Network (AGWN), an initiative that recently partnered with the Kane County Farm Bureau to award a scholarship to a deserving young woman who is pursuing her degree in Engineering. “I have the best job in the world! I make something every day, continuously seeking ways to make the product and the process better.” Heather Erickson, senior assembler/operator, Jackson, Minnesota. As a Senior Assembler/Operator at AGCO’s Tractor Assembly plant in Jackson, Minnesota, she leads sub-system and system assemblies of critical parts, working from engineering drawings and work instructions. Recently, Erickson made wearable technology (Glass) for standard work instructions possible by participating in the restructuring and sequencing of thousands of operational method sheets. Her leadership is helping AGCO understand the value of disruptive technology for employees’ daily productivity. Outside of work Erickson is actively involved in a number of community activities. 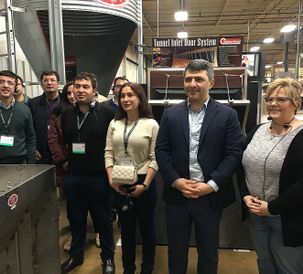 She helps develop content for AGCO’s Jackson Facility Assembly Academy, which offers development and employment opportunities to the Jackson community. 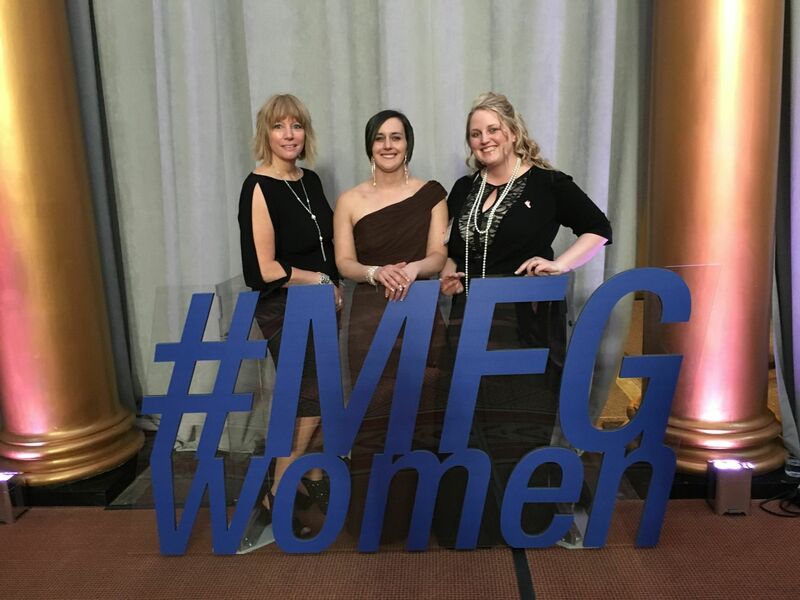 As a leader in the Jackson chapter of the AGCO Global Women’s Network, she works to promote breast cancer awareness with the Susan G. Komen organization and supports the March of Dimes. “Manufacturing is evolving in leaps and bounds, and to be a part of those big changes and continuing evolution is my passion. With forward thinking and continuous improvements there is no limit to what manufacturing can accomplish." Rachel Hawn, supply chain analyst, Jackson, Minnesota. With responsibilities including material flow efficiency, maintaining optimal inventory levels and part replenishment, Hawn works cross-functionally to bridge the gaps between purchasing and material handling. She also regularly coaches and mentors her peers, sharing what she has learned to improve results. As the “Lean Office Champion”, Hawn works with team members to adopt Lean principles, taking advantage of their time together to encourage others into leadership roles. Hawn is a community leader in Superior, Iowa, a town of just over 100 residents. At 23, she served on the Superior City Council and her grant writing skills have procured new wildland fire fighter gear and funded park playground equipment. The AGCO Global Women’s Network (AGWN) is a business advisory group focused on the attraction, retention, development and advancement of women at all levels of the organization. The organization was established to provide a platform to proactively cultivate the leadership skills of women and men, thus driving excellence in innovation, customer service and business outcomes.